THIS POST IS THE FIRST IN A SERIES OF DAILY CONFERENCE RE-CAPS WRITTEN BY EARLY CAREER SCHOLARS ATTENDING THIS YEAR'S CONFERENCE. The day started with a groggy breakfast but ended with Kirk Melnikoff’s august opening address in the Schlosskirche—the very place where Luther “published” his 95 theses. 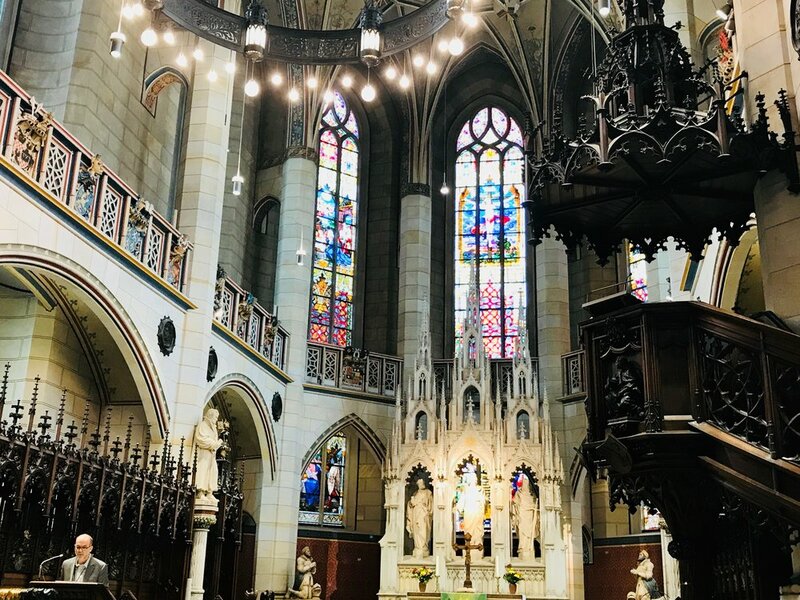 The Eighth International Conference of The Marlowe Society of America kicked off today in high fashion, and, much like the decorative bosses on the historic church’s vaulting, each scholar’s unique perspective added flavor to our first-day endeavors. Tuesday offered two concurrent panel sessions, plus the official welcome address. Having to choose which panel to attend is always difficult at large conferences, and I chose “Marlowe and Shakespeare” and “Tamburlaine Before Marlowe: Authorship, Reading, & The Book.” What follows responds primarily to these two panels, but rest assured, during a late-evening reception at the Lutherhaus Refektorium, scholars who attended the other two sessions had nothing but praise for the work of their colleagues. Here's a sneak peak of the conference swag. 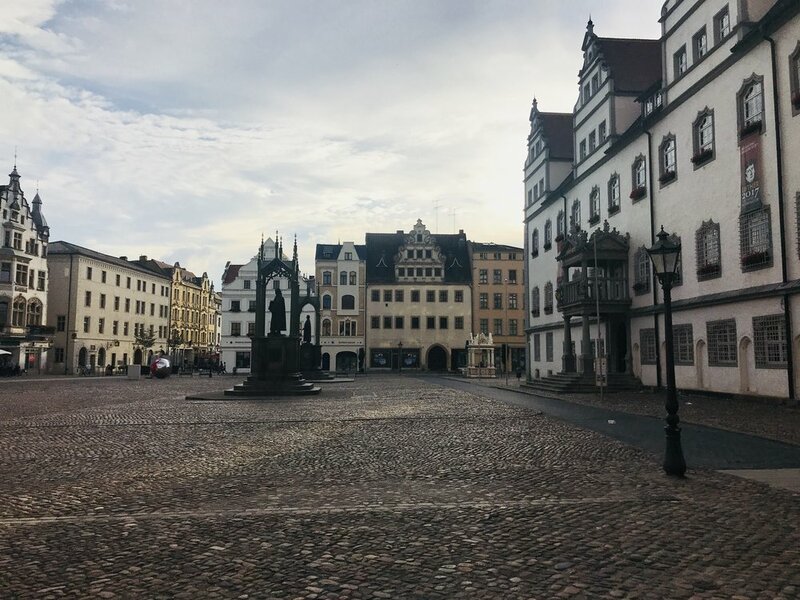 We are excited to announce the program for The Marlowe Society of America's 8th International Conference, which will take place from July 10 to 13 in Wittenberg Germany. See our Conferences page for the full line-up, including keynotes from Holger Syme (University of Toronto), Kristen Poole (University of Delaware), and Lukas Erne (University of Geneva). Panels include speakers from across the globe and feature well-established luminaries in the evolving field of Marlowe studies as well as graduate students and early career researchers who are bringing new methods and concerns to bear on the plays and poems in the Marlowe canon. Please follow us on Twitter—@MarloweMightyLn and #marlowe18—or like us join our event page on Facebook for conference announcements and updates.